We arrived on our first day, slightly nervous and a little unsure of what we would be doing this week. This soon changed when we were greeted by smiling faces and cups of tea. 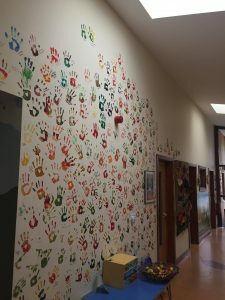 As student teachers the creative displays within the centre soon caught our eye, we were already starting to gain ideas for the future classes we would teach. 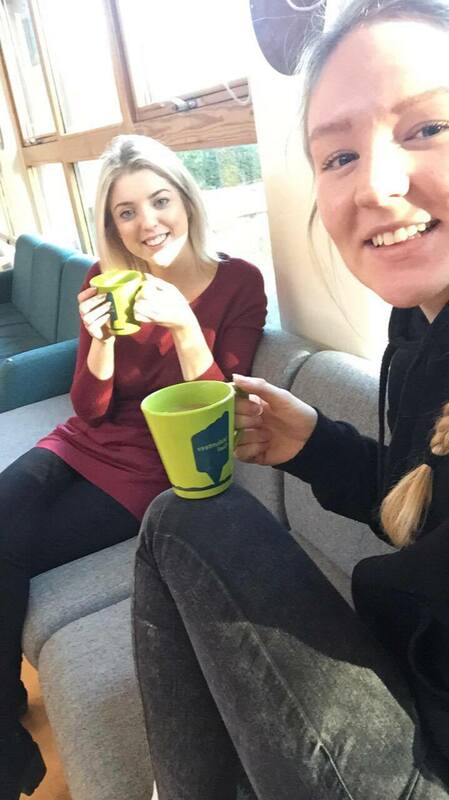 One week at Skelton Grange has given us the opportunity to gain new skills and hands-on knowledge; experiencing new things only taught on a theoretical level at university. Our jobs for the week included preparing the site for school visits and ensuring that the environment was safe. Initially the tasks seemed out of our comfort zone but we soon gained the confidence to try out new challenges, including being up to our waists in pond water (luckily we did not fall in). We created hedges by felling and cutting back trees which allowed us to create areas for outdoor learning which act as an ‘outdoor classroom’ setting. Staff and volunteers on site helped us greatly with our own subject knowledge, as we spent the week learning new things which we can then teach the following week and throughout our teaching careers (ask us about hibernating hedgehogs!). When we signed up for a teaching degree we didn’t think we would be on placement using these tools but with some guidance from the team at Skelton Grange we were able to learn new tips to use them correctly and safely. Our visit has helped us to understand the importance of learning about the natural environment and not being afraid of being at one with nature (and getting a bit muddy). We can’t believe our first week at Skelton Grange is over, and we are now looking forward to our final week here and implementing the new skills we have learnt. 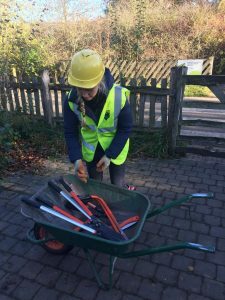 Skelton Grange Environment Centre is recruiting another batch of Volunteer Officers, thanks to funding from the Big Lottery and National Grid! 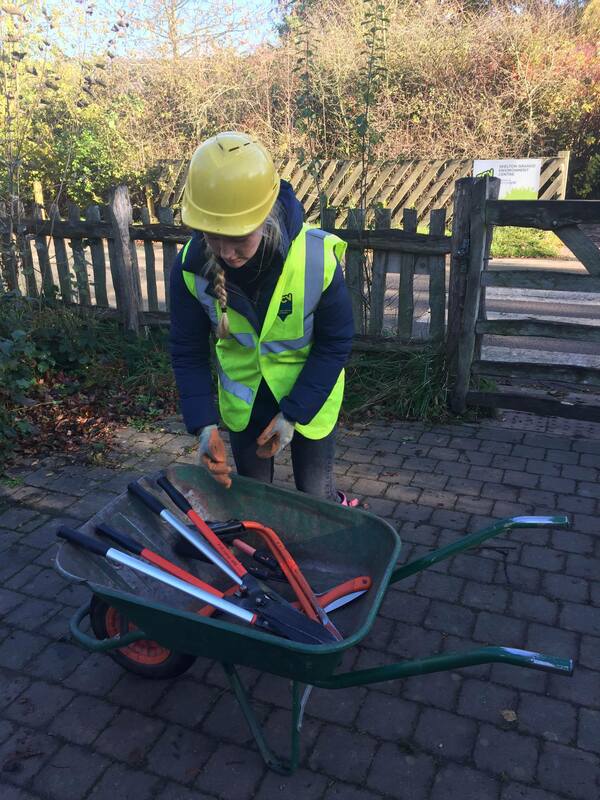 Run by the charity The Conservation Volunteers, access2nature is a five year project working to improve the life prospects and wellbeing of people in Leeds, by providing a range of social, learning and volunteering opportunities in the natural environment.